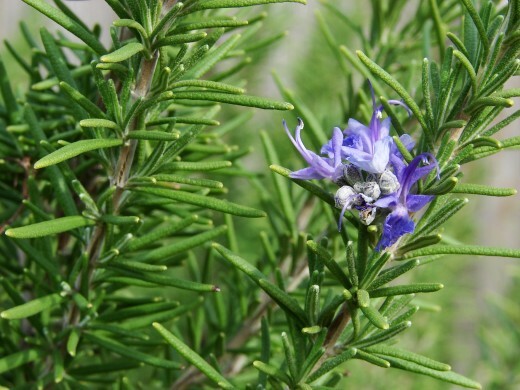 Rosemary is a woody herb with a fragrant needle-like leaves that grows natively in the Mediterranean region. It is flower bearing herb that are usually purple. Rosemary shoots, flowers and its leaves are used as decorative flowers in banquets because of its scent, it can ward off insects and to others traditional belief, it can ward off bad aura. 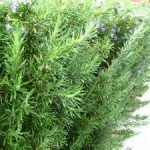 Rosemary herb are easy to grow and maintain may it be inside or outside gardening. With its unique flavor, most of restaurants add rosemary leaves in their vegetable soups. Along with basil and parsley, rosemary is a culinary favorite. It is not mainly for garnishing only but rosemary leaves are used as a flavoring in foods and also for stuffings lamb, pork, chicken and turkey for roasting. But like any other herbs, rosemary is full of nutritions and many health benefits you can get from this tiny herbs. Rosemary is very rich in vitamin B-complex (folic acid, pantothenic acid,pyridoxine, riboflavin). Folates are important in preventing neural tube defects to newborn babies while in the peri-conception period. The herb contains vitamin A that is known to be an antioxidant and is an important vitamin for our eyes. Vitamin A is also a factor in preventing lung and oral cavity cancers. Rosemary herb is a low calorie herb. Rosemary has phyto-chemical properties that prevents diseases . The flowers of rosemary herb contain phenolic anti-oxidant rosmarinic acid known to have rubefacient, anti-inflammatory, anti-allergic, anti-fungal and anti-septic properties. Rosemary is also rich in iron. Iron is a very important mineral to the body’s hemoglobin in the red blood cells. This herb contains the minerals potassium, calcium, iron, manganese, copper, and magnesium. Potassium helps control the heart rate and balances blood pressure. Manganese is an antioxidant. This mineral is also important in aiding with lowering the risk of cancer, specifically breast cancer. Rosemary is also rich in vitamin C that helps the collagen in the body. Collagen is important in maintaining healthy body organs like the skin, lungs, kidneys and bones. Vitamin C also help to free the body from harmful free radicals and infections. Rosemary oil has such as camphene, cineol, borneol, bornyl acetate and other esters that have compound that can soothes inflammation, enhances blood cirulation and stimulant properties. Rosmarinic acid is a natural polyphenolic antioxidant found in rosemary, has been found to have anti-bacterial, anti-inflammatory, and anti-oxidant functions. 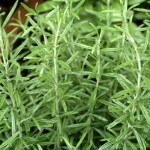 Rosemary herb stimulates hair bulbs and can help prevent the premature baldness. It also prevents dandruff. 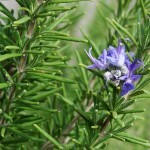 Rosemary oil also soothes the pain in gout, rheumatism and neuralgic conditions. Rosemary tea is a remedy for headaches and colds. A study shows that normal consumption of rosemary is very useful in memory during aging.